Blue Apple has developed an Online portal to manage service centre networks. Its an ultimate solution to end the difficulties faced by the managements of service centre networks. Often inspection and maintenance work involve a large number of highly dangerous manual operations, especially within industrial fields such as shipbuilding and construction. 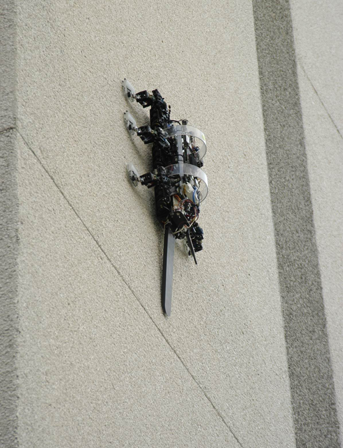 This paper deals with the autonomous climbing robot which uses the “caterpillar” concept toclimb in complex 3D metallic-based structures. During its motion the robot generates in real-time the path and grasp planning in order to ensure stable self-support to avoid the environment obstacles, and to optimise the robot consumption during the inspection. The control and monitoring of the robot is achieved through an advanced Graphical User Interface to allow an effective and user friendly operation of the robot. The experiments confirm its advantages in executing the inspection operations.